The shock of Levis passing is still seeping in. "Es Chatoai Ani Mazkir" and I confess that I did not keep in touch in the last few years as much as I should have. I am not one of these big writers but I know how important it is to share some memories with family and friends. Levi and I were friends since preschool. In last year of our yeshiva studies I had the Zechus to learn Smicha with Levi. Originally I had plans to learn in 770 and Levi approached me and asked if I would consider learning with him. He said that he is going back for a 2nd year of Shlichus to Migdal Haemek and wanted me to join him. My first reaction was that I had no interest to go to Israel since I had already completed my year of Shlichus in Miami and wanted to focus on smicha. Levi of course did not take no for an answer he persisted and suggested that the Yeshiva will pay for my ticket and everything will be taken care of and that me and him will learn smicha together. It did not take much and he convince me to join him. While in Migdal Haemek I got to learn allot more than I thought I knew about Levi than before. Especially since we shared the same room. 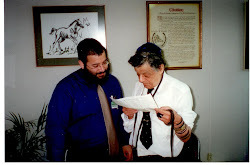 When we arrived he obviously gave me a grand tour of the yeshiva and introduced me (the newcomer) to the Hanhalah and to the bochurim and made a small farbrengen. From when we arrived Levi made sure that I would be comfortable and that anything I would need would be looked after. Whether it was taking me to the kitchen in the backroom for special meal arrangements or take me to local friends house in one way or the other I always felt that Levi was there looking out for me. This was the true character of Levi, always looking out for others. Not only did I experience that with Levi but I witnessed that on a day to day basis with how he would interact and lookout for bochurim in Yeshiva. I remember during "yemai depagra" how the bochurim would love to sit at farbrengen and make sure to sit close to Levi and farbreng with him. Almost every single bochur in yeshiva had a connection with Levi and Levi always found a way to connect with the most chassidishe bochur and the ones that were not as chassidish. What amazed me was how Levi would encourage bochurim to do what's right. I remember him talking to a bochur about something very personal, but in a very friendly and nice way, in a way that only Levi can say and would be accepted by others. The caring and warmth was not limited to his friends. Levi was very friendly with the "Hanhalah Gashmies" of the Yeshiva. I remember him helping them approach donors and help them raise funds for the yeshiva. Everyone loved Levi, he was full of life and loved life. Levi will always be in my heart as someone who truly cared for others especially for friends. We miss you! nice letter, i wish more of his class mates and close friends would share.